While we believe that the artistic designs we unearth hold instant appeal for local homeowners, we also get that it can be tough to envision how products will look when actually installed. It can be difficult to take a risk with unique patterns if you're not sure where or under what circumstances they can be most effectively incorporated. Hence, our dedication to putting a variety of designs on display in our showrooms. We're strong believers in the power of in-person inspiration; it's why we travel throughout the nation and abroad to see the latest trends for ourselves. We've conveniently brought several of the most fascinating looks back to Denver, where you can see the artistry of tile at work. Recent excavations in the ash-covered metropolis of Pompeii have left both historians and designers fascinated. One dwelling, in particular, has captured tile maven Nancy Epstein’s (founder of Artistic Tile) imagination with its geometric shapes and intricate braids. This concept formed the basis of what became the Pompeii tile, featuring a mixed waterjet mosaic pattern and classic Italian marble. This look provides the ultimate in timeless appeal. However, despite its ancient inspiration, the Pompeii Grey tile boasts a fresh feel. 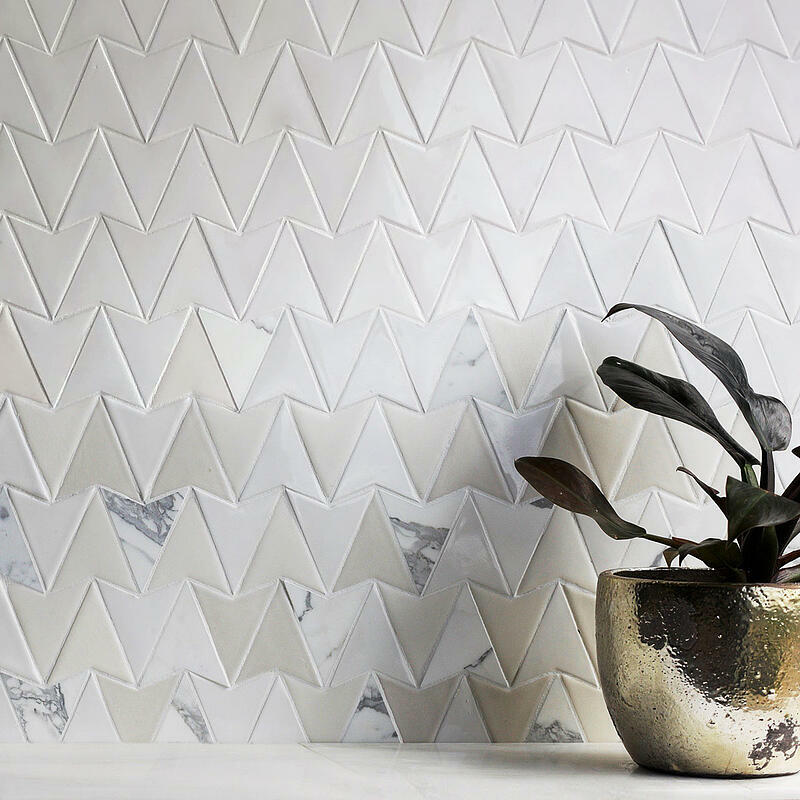 It's also on-trend, given the recent explosion of mosaics at the industry's top tile shows. 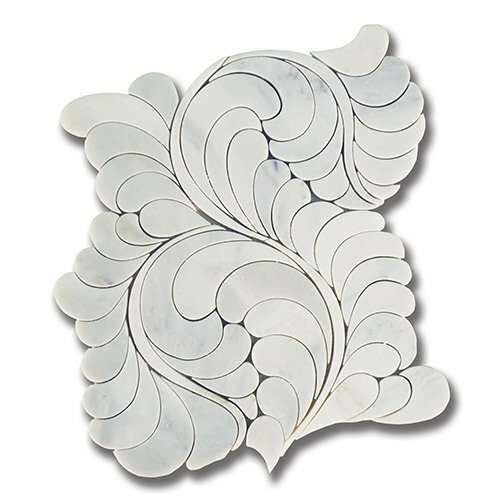 Evoking the spellbinding aesthetics of the world's most beautiful exotic birds, this memorable tile design allows you to play with unique patterns without overwhelming the space in which it is incorporated. The tile's exaggerated curves are highly expressive, but it doesn't rely on bright colors to get the point across. Instead, it takes on a neutral hue, which can easily be dressed up with other decorative accents or combined with other neutrals to prompt a clean, yet sophisticated look. 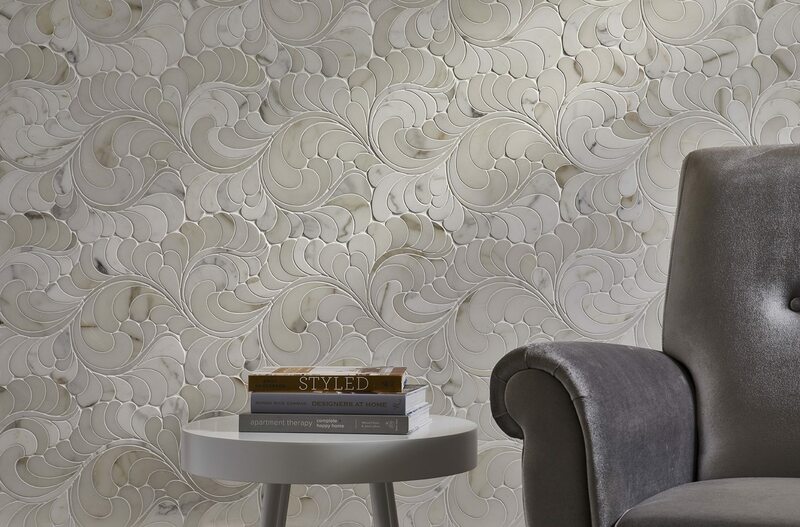 You'll invariably find yourself lost in the mesmerizing swirls of this tile pattern, which stands alone as a work of art. Inspired by Catalan Modernism leader Antoni Gaudi, this hexagonal waterjet mosaic tile pays homage to the top architectural wonders of Gaudi's day. Beautiful Bianco Carrara and Thassos marble immediately capture the sense of movement that set Barcelona's most compelling designs apart. 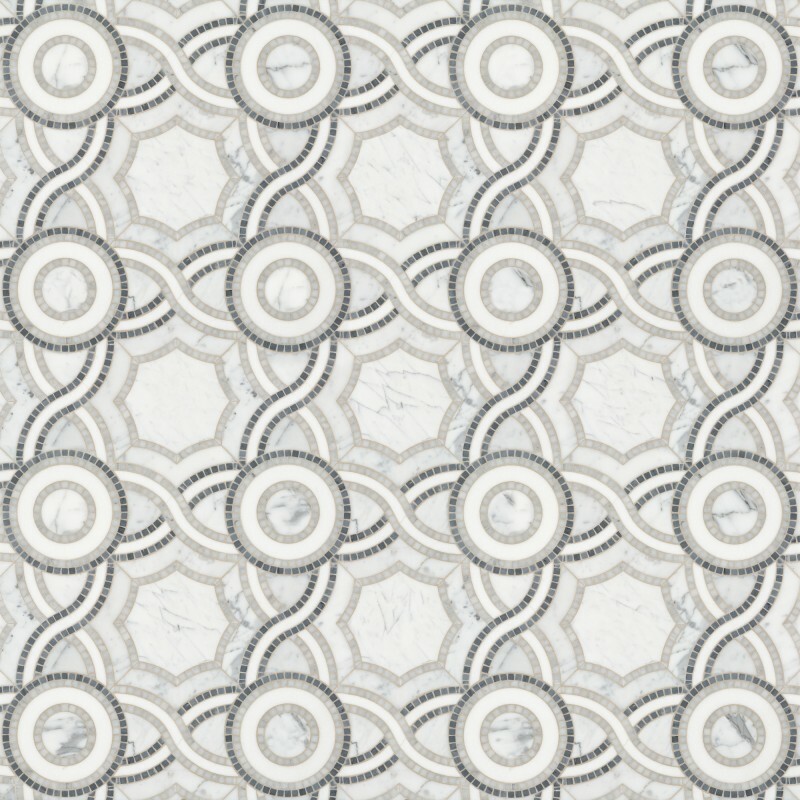 This look is particularly evocative as living room or entryway floor tile, with its swirling patterns capturing what we love about both mosaics and large-format tile. These tiles can also be effectively integrated into a bathroom setting — either as floor tile or as a shower wall. Nostalgia reigns supreme with this look, which will instantly transport you into a different time and place with its vintage micro glass hexagons. Several options are available to capture your intended aesthetic. The Country line combines rural sensibilities with elevated vibes to cultivate a simple, yet intricate feel. The Coastal line instantly delivers you to the seashore with its ethereal shades of blue and white. The Classic line offers an understated take on elegance by drawing on the power of black, white, and gray. No matter your preferred color scheme, you'll love the vintage, yet timeless appeal of this tile pattern. Simple designs are often the boldest and most compelling, as you'll realize while gazing at this gorgeous look from Encore Ceramics. 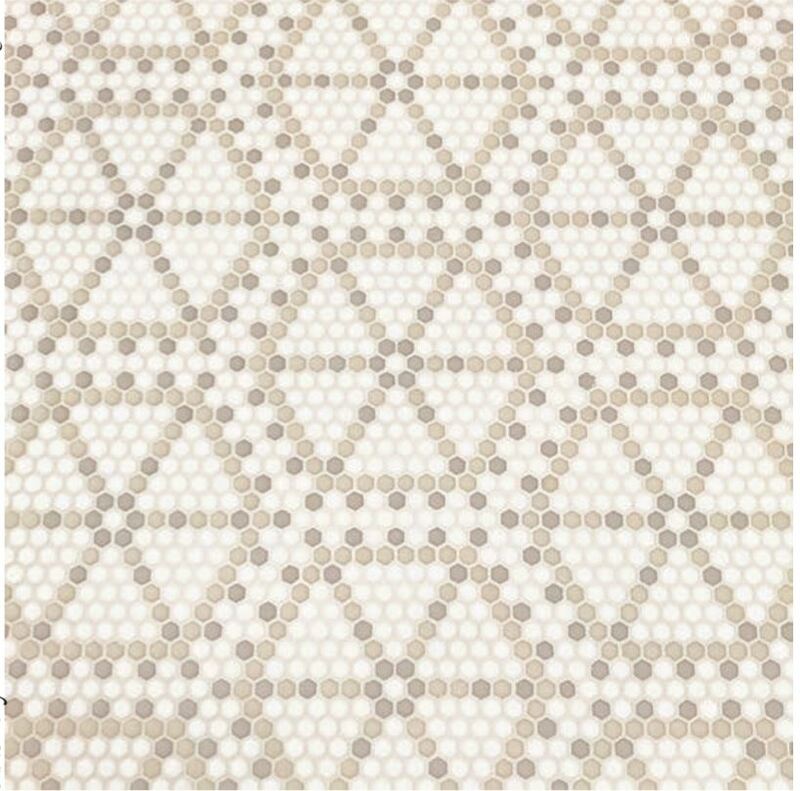 Featuring an eye-catching geometric design, this mosaic combines natural inspiration and modern vibes to great effect. It reflects the darting of sparrows, with a single, arrow-like shape rotated 180 degrees to captivate and inspire. Available in several glazes and palettes, this Encore Ceramics design works best in subtle, neutral shades. 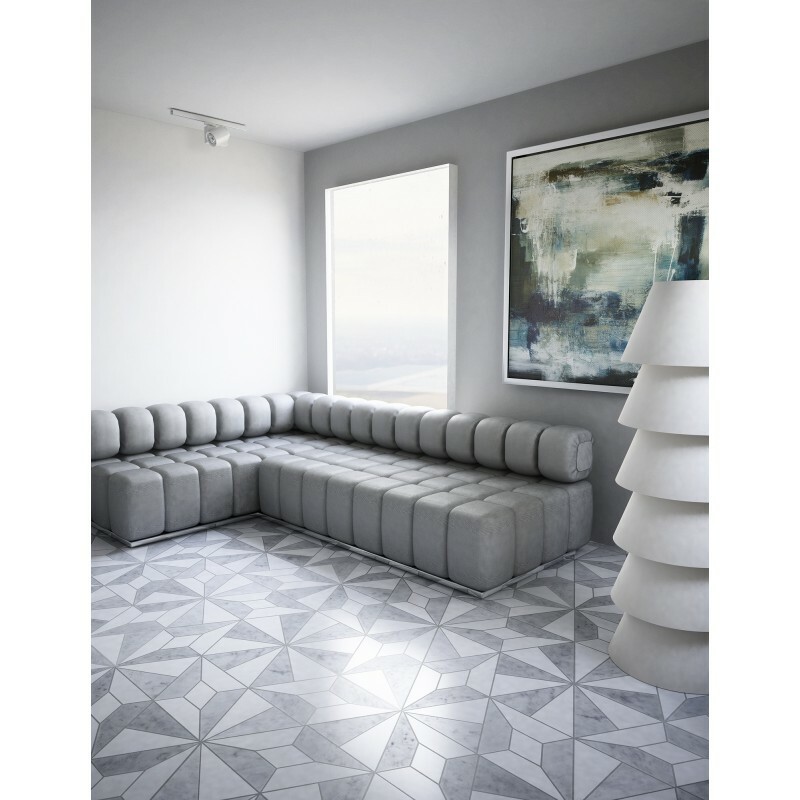 Neutrals focus your attention on the tile's remarkable shape; overly bright colors would only distract the eye, thereby removing much of the geometry's impact. Whether you're looking to make a splash with a bold geometric concept or keep it simple, you'll be amazed by the array of looks brought to life in our showrooms. This is your opportunity to be both dazzled and inspired by some of today's most beautiful tile designs. Step it up with a classic aesthetic that still manages to feel fresh. One trip to our showroom, and you'll feel ready to take on today's most ambitious, yet accessible looks. If you're loving the internationally-inspired concepts on display in our Colorado showrooms, we're happy to offer additional ideas in our overview of the world's hottest tile trends. Otherwise, feel free to take our Design Style Quiz to discover which looks work best with your desired aesthetic. Contact us online today to learn more!